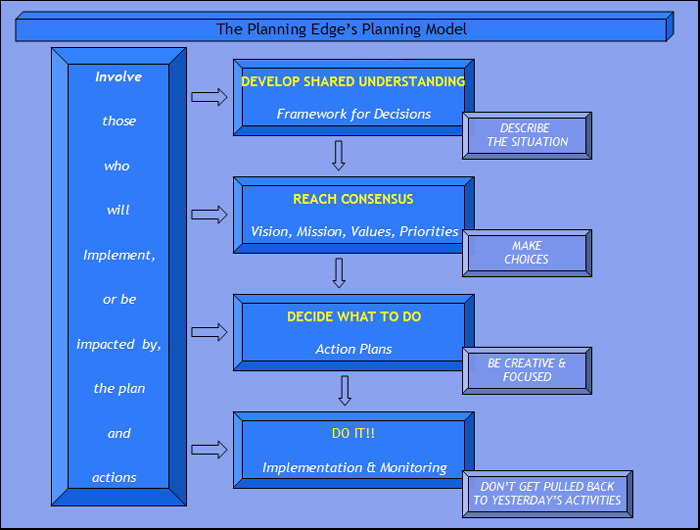 Our approach to planning, in its very simplest form, has four stages, each of which involves various constituents. It includes developing a knowledge base, making choices, creating actions and implementing actions and assessing results. We find our approach is helpful to clients in keeping the big picture in mind during a planning project.